High Strangeness: UFO Documentary Scam? 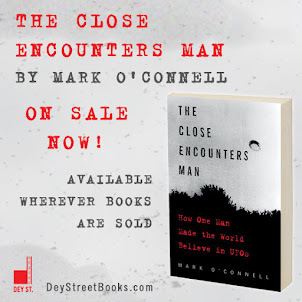 A few weeks ago I was contacted by a young filmmaker who said he was making a short YouTube documentary about Dr. J. Allen Hynek based on my book, The Close Encounters Man, and he was offering me the opportunity to edit his script before he went onto production. It took me a minute or two to absorb this guy's message. He was making a video based on my work... without bothering to ask my permission... but he was hoping I would edit and approve his script... and thereby put my seal of approval... on a product he was clearly filching from me. Pretty cheeky of him, eh? I told him I had a problem with that, and that I would be consulting my attorney. He claimed that he was within his rights to use my book as source material under the "fair use" provision of copyright law, which is not really true, as he was basically basing everything in his script on my work, no one else's. That's a bit more than "fair use," IMHO. My attorney, meanwhile, was all set to send this guy a cease and desist letter, but I didn't really think he was worth that much effort. "I'm aiming to have this video completed by the end of the weekend and will need to know if you'll be requesting any changes to the script." Although it was the last thing I wanted to do, I took another brief look at his script and found three or four significant inaccuracies right off the bat. But did I want to spend a hunk of my day going over the whole thing and fixing this guy's mistakes? No, I did not. Getting his script right is his job, not mine. There are quite a few inaccuracies in your script, and frankly I don't have the time or inclination to edit your writing. You can utilize "Fair Use" of course, to cite The Close Encounters Man for very specific, limited quotes, but I do not give you permission to portray me as sponsoring, approving or participating in your video in any way. Furthermore, you do not have my permission to use any image of my book or of my person in your video. First world problem, I know, but what a ridiculous waste of my time. And what, really, does it contribute to the discussion? "...what, really, does it contribute to the discussion?" Alas, probably nothing. The technological ease with which one can now pilfer material from multiple sources then bundle it into a cyber package that can attract numerous views and (more importantly: MONEY) is now ubiquitous. Trust your intuition and judgement. Does this person seem sincerely interested and excited about your work...or merely a cyber-grifter who has spotted a possible lucrative opportunity? A young, somewhat awkward enthusiast...or a shrewd con-person? UFO is definitely a scam and I don't really believe in this alien stuff. 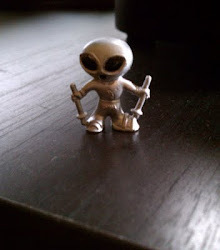 However, the NASA is definitely trying to hide something from us but not a UFO.